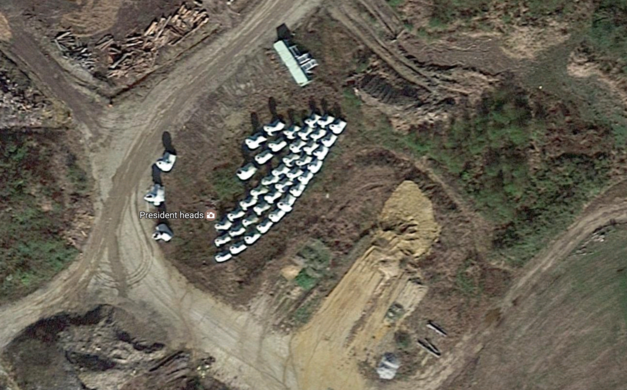 43 giant busts of U.S. presidents are sitting in a field in Virginia. 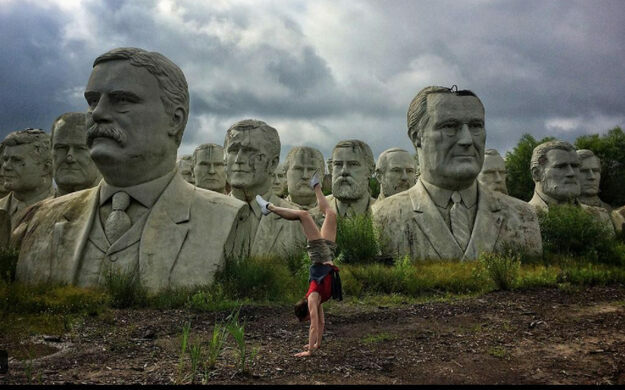 What to do when you have 43 20-foot-tall busts of nearly every U.S. president and nowhere to put them? America's first public mental health facility. This was the problem that Howard Hankins found himself facing in 2010, after Presidents Park in Williamsburg, Virginia, where the giant busts had been on display, closed down. The statues were sculpted by Houston artist David Adickes, who was inspired after driving past Mount Rushmore on a trip back from Canada. They were open to the public at Presidents Park alongside the Presidential Pet Museum, and received thousands of visitors until 2010 when a company bought the plot of land. The huge presidential heads had to move. 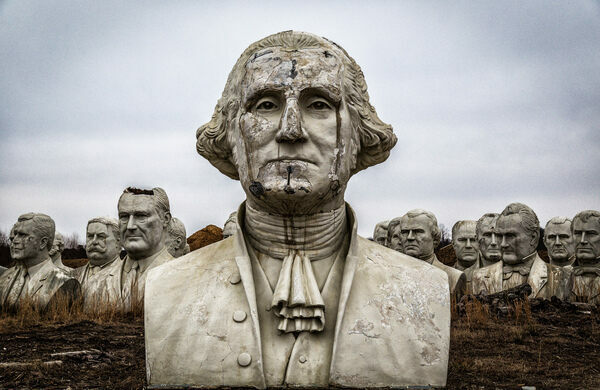 Instead of allowing the busts to be demolished, Howard Hankins, who helped construct the park, adopted all 43 heads and lugged them back to his private family farm for safekeeping until someone can think of what to do with them. With each bust weighing 22,000 pounds, it took nearly a week to move them all just a few miles to the large field where they now sit, and some presidents’ retained minor damage to the backs of their heads and noses. For years the giant heads have sat tucked away on the farm, which is private property and not open to tourists. There is a crowdfunding campaign in the works to raise money to relocate the statues to a place where they can be visited by all. A short documentary, called All the Presidents’ Heads, showcases the heads and Hankins’ efforts. Note the farm is private property and not open to visitors. A 11-foot former president stands on a Kosovo street that also bears his name.